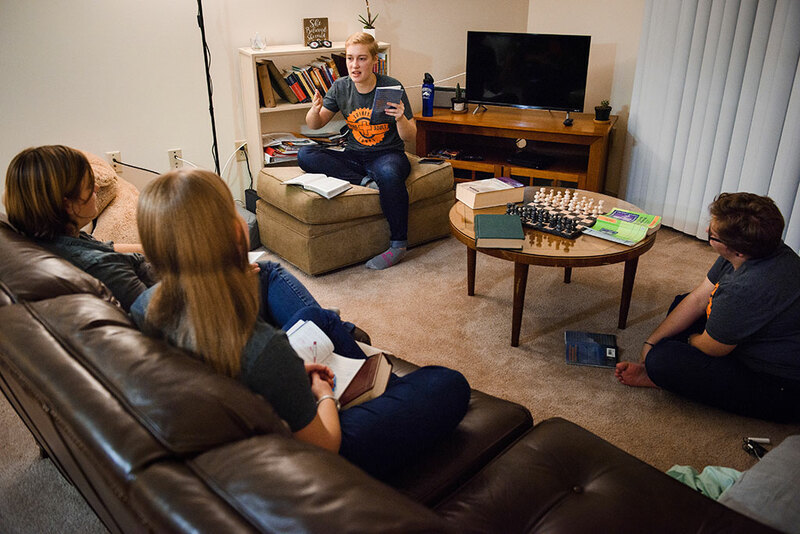 The Lutheran Young Adult Corps provides opportunities for young adults (18-26) to grow in a community of faith and service through long-term, full-time service in urban ministry settings. Participants are trained to live and serve in communities across the United States. Young adults can serve for 10 weeks in the summer or 10 months as a gap year. During service, The Lutheran Church—Missouri Synod provides a supportive, life-changing program for young people to gain valuable experience while deepening their faith and sharing Jesus through acts of mercy. Applications are closed as we prepare and place our summer and gap year applicants. If you are interested in applying for the 2019-20 Gap Year, please contact Julianna Shults at julianna.shults@lcms.org for more information about available placements. Keep your eyes open for an announcement in June about an update to our application cycle. What do Corps participants do? Currently, each gap-year participant serves a unique role with our Community Partners. Participants serve full-time with LCMS congregations, campus ministries or Recognized Service Organizations in New Orleans, Milwaukee and St. Louis. Some serve in a single location; others work part-time with two or more Community Partners. Most Corps participants are the only person serving a particular Community Partner, although two participants work together on occasion. 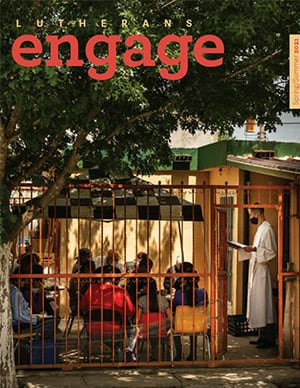 The volunteer service allows Community Partners to expand Christ-centered ministry on very tight budgets. Participants in the 10-week program do not pay anything to join. To help support the program, we ask 10-month participants to fund-raise $1,000 by the start of training in August. Is this just for future church workers? What about college? The Lutheran Young Adult Corps program is for any young adult who wants to share their gifts and passions with ministries that could use them in powerful ways. We accept young adults with a variety of current and future vocations. Many times placements can be personally tailored to use gifts and skills in new and special ways. We have partnered with Concordia University Nebraska (Seward, Neb.) and Concordia University Wisconsin (Mequon, Wis.) to hold acceptance, financial aid packages and potentially provide course credit for participants in the 10-month program. These Concordia universities have graciously worked with us and our participants to encourage service before, during or after their university experience. This is great, but I’m too old! How can I help? Share this information with young adults who might be good candidates. Most of our participants joined us because someone they trusted encouraged them to consider this long-term service opportunity. This program is free to summer participants and only $1,000 for 10-month gap year participants. Community Partners contribute toward operating this program, but our doors remain open because of generous donors. Please prayerfully consider a small donation to help us keep the costs low or free to our young adults and the urban ministries they serve. 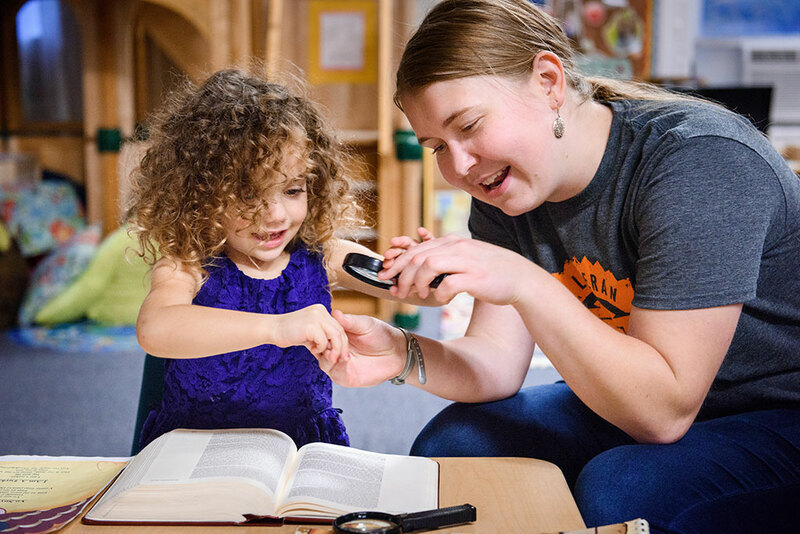 Community Partners are LCMS churches, LCMS campus ministries, Recognized Service Organizations, and community organizations where Lutheran Youth Adult Corps participants serve. Community Partners go through a simple application process that tells about their organization and how they would like to use Corps participants. Applicants provide guidance on which Corps participants might work best in their organization and supervision during the Corps participant’s service. For more information, please contact program manager Julianna Shults by email or text (314) 896-0795.
Who joins Lutheran Young Adult Corps? Participants must be at least 18 years old and have a high school diploma or equivalent as of August 1 in the year of service. Lutheran Young Adult Corps participants may not be older than 26 by the completion of their service. All participants must be members of an LCMS congregation. All Lutheran Young Adult Corps members need to be self-motivated, mature, servant-hearted, and stable. Participants should possess a desire to grow in the areas of faith formation, mercy work, community outreach, and simple, sustainable living. Independence, flexibility, openness, a sense of humor, and good physical health are also helpful in such service opportunities. Lutheran Young Adult Corps will use whatever gifts God has given participants to serve in amazing ways. If a participant has a special skill or passion, please indicate that during the application process. Specific skills (language, music, etc.) might allow additional opportunities to serve at the host site or other service organizations. Lutheran Young Adult Corps participants live independently in housing unique to each city. All the participants in a city live together. Some locations have same-gender housing. Some locations have a shared living area and separate sleeping and bathroom space for males and females. Participants will most likely share a bedroom and bathroom. Some locations have as few as two participants, while others have up to eight. Housing is set up very specifically to help foster a supportive, faith-filled community and help everyone to embrace simple living. Participants will eat together, have Bible study together, care for the house together, and build a supportive community for service. Corps participants can bring their personal car to their service site if they desire. Bringing a personal car opens up a few of our placements that need a vehicle during or to get to service. Otherwise, participants use buses and other public transportation to get around. While it is a safe and fairly easy way to travel, young adults considering the program should ensure they feel comfortable navigating public transportation in an urban setting. Participants in the 10-week summer program only need to pay for the cost of travel to and from their service sites. Travel to St. Louis for training in August. $1,000 with a $200 deposit due with the acceptance of your placement. Any travel home during your service. Our 10-month participants qualify for a $1,000 scholarship at Concordia Nebraska and Concordia Wisconsin/Ann Arbor after their service. Do I get paid for my service with Lutheran Young Adult Corps? Yes. Participants receive a modest living stipend that covers food, travel, and basic personal needs. The stipend amount is dependent on the placement location. The stipend is not elaborate; however, it should be adequate to cover basic needs during the time of service while learning to live simply. Housing is provided. How long can I serve? Lutheran Young Adult Corps service can be a Gap Year of 10 months (August to May) or a Summer Term of 10 weeks (June to August). Every placement is unique, which makes this question hard. You will serve one or two Community Partners with a total of about 40 hours per week that will last the duration of your service. While your volunteer service will be full-time, your schedule may change from week to week depending on the needs of the Community Partners. We will provide you with a short position description upon your acceptance and placement in the program. In addition, your Community Partners will contact you before your service to describe your site and your schedule. Because we want participants to focus on their volunteer service and their community, we do not allow them to have a part-time job or to take classes while serving. What kind of service will I be doing? There are a variety of different placements, including helping with before and after school programming, helping jump-start campus ministry, volunteer management, communications and working with immigrant and refugee populations. Participants will be matched with placements based on their skill sets, passions and the needs of the Community Partners. For more information about what our current participants are doing, check out our Facebook, Instagram or Twitter accounts at @lutheranyacorps. 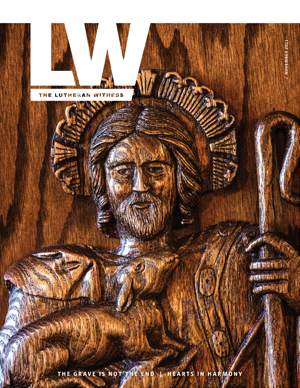 Do I have to be an LCMS Lutheran? Yes. We deeply appreciate the willingness of all young people who desire to serve. However, funds were raised for the support of this program with the expressed interest of helping LCMS young people serve in such capacities. Participants must be a confirmed and active LCMS member. Will I receive vacation time? Volunteers in the 10-month program adhere to the vacation policies of the organizations they serve and are granted a minimum of 10 working days of vacation per year. During the 10-week program, vacation will be granted at the discretion of the Community Partner. Lutheran Young Adult Corps also has time for retreats or workshop days; this is not counted within the two weeks of vacation. Should I bring my computer, pet turtle, iPod, iPad, bed, lawn furniture, etc.? The housing provided is fully furnished. Participants need only to bring personal items. Participants should plan to bring their own technology, but each house has a smart TV and WiFi. There are no pets allowed in our houses. We don’t have a list of things to bring. Instead, we encourage you to consider what you bring in light of what will help your service. Will these possessions burden your experience or prevent others in your community from knowing you for who you are? You will by no means be experiencing poverty, but you will be living in solidarity with the people of your community. Because we are there at the community’s request and to benefit them, we encourage participants to embrace a simple and sustainable lifestyle. Can I join if I am not a U.S. citizen? No. Participants must be a U.S. citizen, national, or legal permanent resident alien of the U.S. to serve with Lutheran Young Adult Corps. Lutheran Young Adult Corps applications for the upcoming service year will be online in October 2018. Applicants who apply before Jan. 1, 2019, will be given early acceptance/wait listing by Jan. 31. This will not include your placement. Applications must be submitted by March 1, 2019. All applicants will be notified of acceptance and placement in April 2019. If I participate in Lutheran Young Adult Corps, will I have a hard time getting into college or finding a job afterwards? Every situation is unique. Lutheran Young Adult Corps cannot guarantee participants will receive college acceptance or job placement at the end of their service. However, research shows that participating in programs like Lutheran Young Adult Corps can be beneficial in both those areas. We have partnered with Concordia University Nebraska and Concordia University in Wisconsin and Ann Arbor to hold acceptance, financial aid packages and potentially provide course credit for participating in the 10-month program. These Concordia Universities have graciously worked with us and our participants to encourage service before or during their university experience. In parts of the world where Gap Years are common, studies find 90 percent of participants go onto college after their experience. 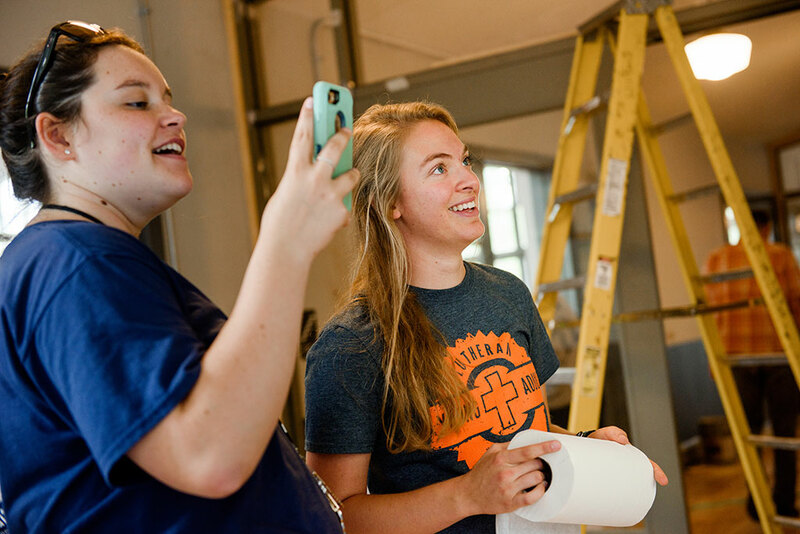 Putting a program like Lutheran Young Adult Corps on a resume demonstrates to future employers a commitment to community, excellent work ethic, a willingness to work cooperatively, and the energy to explore new opportunities. Reflect and discern your motivation for wanting to join Lutheran Young Adult Corps. Young Adult Corps might be right for you if your central motivation is to live out your faith by serving others around you. Consider how living alongside those on the margins of society might open you to new growth and challenges that will have a lasting effect on the rest of your life. Young Adult Corps will provide you with what you need while encouraging independent and simple living. Reflect on your ability to live in a house with others, while making sure you navigate money management, your service schedule, and self-care. This kind of service work can be mentally and emotionally challenging. Please consider your own coping skills and ability to use available resources and support to manage challenging experiences. Discuss your decision with people you trust, including your parents, pastors and other church workers. Ask them to pray with you and help you discern if Lutheran Youth Corps is right for you. Lutheran Young Adult Corps is not for everyone. If you are merely looking for something to do or want to postpone finding a job or going to college, you might want to consider other opportunities. Full-time service is an immersive, demanding experience. If you tell yourself you can shorten your commitment when things get too difficult, you may never be prepared for the experiences that God will provide for you about who God is and what He is doing in these communities.